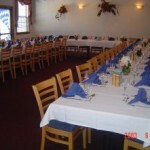 Office Luncheons, Company Dinners, Farewell Parties, Birthdays, Anniversaries, Rehearsal Dinners,Weddings, Graduations! 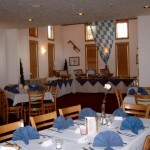 There is always a reason for a party! 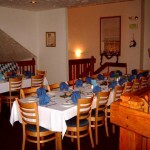 The Waldhorn offers a party room for parties up to 80 people, and an upstairs loft for a group with up to 25 people. 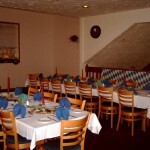 We accept reserations for parties of 6 or more guests. If you like to bring your own cake, we will accept that, however there is a charge of $1 per person in your group. 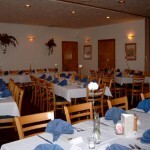 We hope you will understand that we like to sell our own desserts at our restaurant.